All in one solution Free EML Converter Software helps the entire users for convert EML files to PST file with extract every emails and attachments. 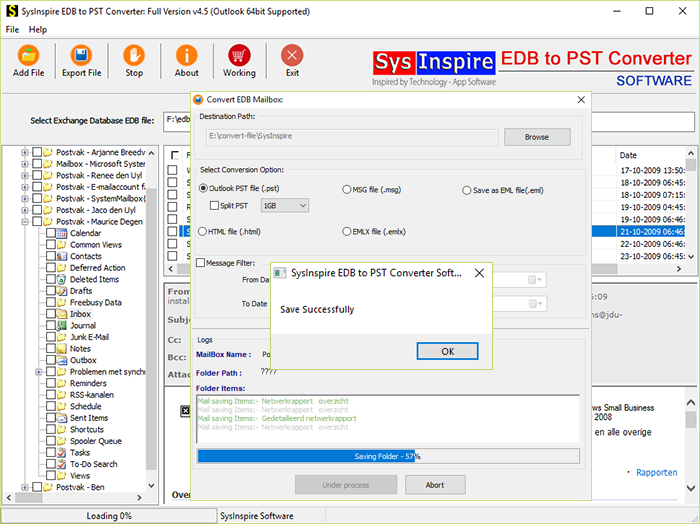 It uses user- friendly GUI process that easier for users to handle for producing Free EML Conversion process into PST Outlook file with holding all emails formatting/ properties- to, bcc, cc, time, from and subjects. Free EML File Converter Software successfully convert selective single and multiple EML files/ folders into PST, MSG, MBOX, Office 365, HTML, EMLX and NSF format with preserve every folders structure. Provides option to add multiple EML Folders for producing fast EML file Conversion . 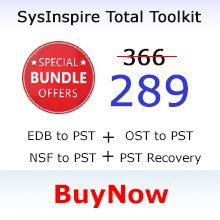 Helps users to Convert EML to Office365 cloud, MSG, PST, MBOX, NSF, HTML, EMLX format. Demo version software converts 30 items from each folder into each formats. 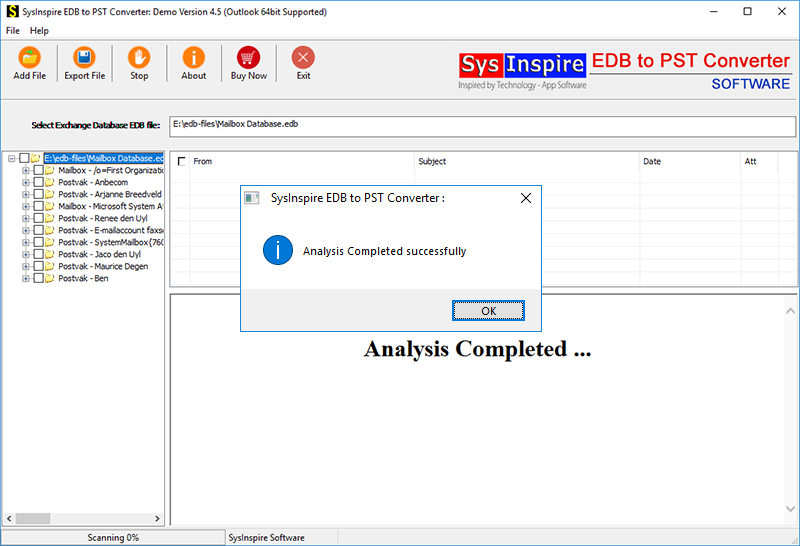 SysInspire EML Converter is a fast and trustable EML File Converter Software that capable to extract EML file and Convert EML files to PST Outlook file. 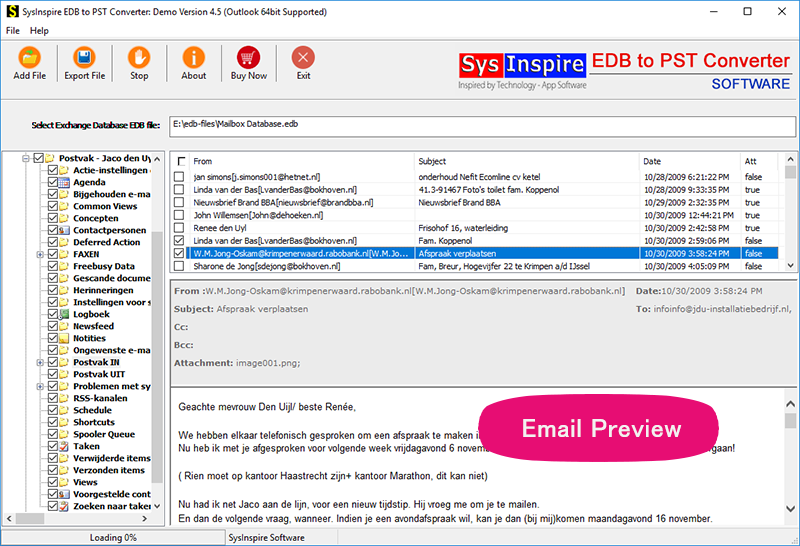 This free software will generate the preview of all EML File Conversion process and supports different mail clients that creates .eml file like- outlook express, windows, windows live mail and thunderbird for export EML files to Office365 cloud, MSG, PST, MBOX, NSF, HTML, EMLX format. Free EML File Converter Software supports batch EML File Conversion; all users are permitted to add multiple EML folders/ files in single conversion cycle to make batch conversion with complete emails and attachments items. Free EML Converter Software helps clients to take out the emails/ attachments items from EML file of thunderbird, Windows, Windows live mail and Outlook express etc and convert EML files to Office365 cloud and NSF file of Lotus Notes. EML Converter is the preeminent EML File Conversion Software that used with intention to convert the database of EML files into PST, MSG, EMLX and MBOX format along with extract all emails formatting/ Properties- to, bcc, time, subjects and from etc. During EML File Conversion process, the Software EML Converter maintains all folders structure, sub-folders structure, emails formatting, emails header information and etc. So you don’t need to worry about EML data integrity because software keeps maintains all folders data. Free EML File Converter Software is 100% safe for all users who want to convert EML files to PST, MSG, EMLX and other format. This EML File Conversion Software supports different range of mail clients that create .eml file like- outlook express, windows, windows live mail and thunderbird to convert EML files. If you are require to convert some amount of folders from EML files so the EML Converter Software gives you facility that you can make selection of the folders of EML files to convert their data into PST, MSG, EMLX, MBOX, NSF and other format with preserve their data integrity. 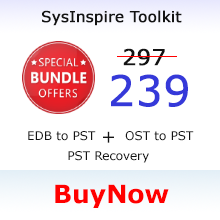 Do I need to install any third party mail client application on my machine to convert EML files? 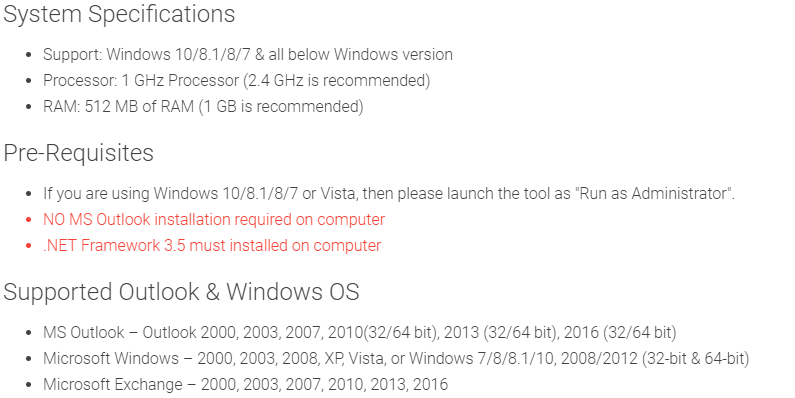 No, there is no requirement of installing any type’s mail clients for using the software with EML file conversion purpose. Can I add multiple EML Folders/ Files to convert into PST with EML File Converter Software? Yes, this EML Converter Software let you add multiple EML folders/ files for making conversion of their data into PST, EMLX, MSG, NSF, Office365 cloud etc. Does this Free EML Conversion Software preserve image qualities that are attached in EML File? Yes, this EML Converter Software is capable to maintain all image qualities attached in EML files during convert EML files. 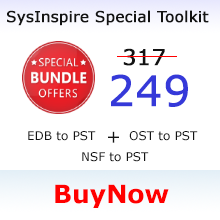 Does the Software Supports to do batch EML folder to PST & NSF format? 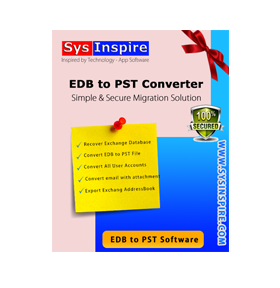 Yes, this EML Converter Software supports to do batch EML folders conversion into PST, NSF, EMLX, MBOX etc. Do I need to install MS Outlook application on my machine for EML File Conversion? No, there no need to install MS Outlook application on machine for using this Free EML Converter to Convert EML files to PST and MSG.